I think I feel better on this new drug combination. I realise it should be easy to say if I feel better, but so far it is ‘different’ but I think it is different in a better way. Now I’m advised that the newly introduced drug (metoclopeamide) acts to move stuff through the stomach quickly and does something to the brain to stop signals of nausea. I can certainly feel it moving things through – not in a gross ‘bowel evacuation’ sense, but I can feel my stomach rumbling and I feel hungry quite a lot of the time. Now previously being hungry would be strongly associated with nausea, so the thing about this new combo is I think I need to be chucking a normal amount of food in quite regularly and ignoring the hunger pangs and not assuming I feel sick because I feel hungry. I had my induction session at the counsellor today. It was good. We had a wide ranging conversation about how low and isolated I feel, nausea, and IVF. One outcome to this point is it seems my ability to cope with the nausea isn’t helped by the fact that I’m not letting myself believe I’ll actually be lucky enough to get a real live baby at the end of the process. Damned residual infertility. Yes, it is true, I’m now so used to preparing myself for failure that I’m not letting myself believe in the possibility of success. Therefore I find it hard to believe that the pregnancy nausea will be worth it. The counsellor tried to get me to live in the moment which is not something that suits my natural ways of being. However I was persuaded by the idea that as an infertile I had been hoping to appreciate my pregnancy and this is something I wasn’t doing. So if I could think of ways I’d have liked to be making the most of the pregnancy I might enjoy it more. This I can get on board with, I am not generally a person to let opportunities pass me by and I usually throw myself into stuff. So I’m going to look for pregnancy opportunities to take up. 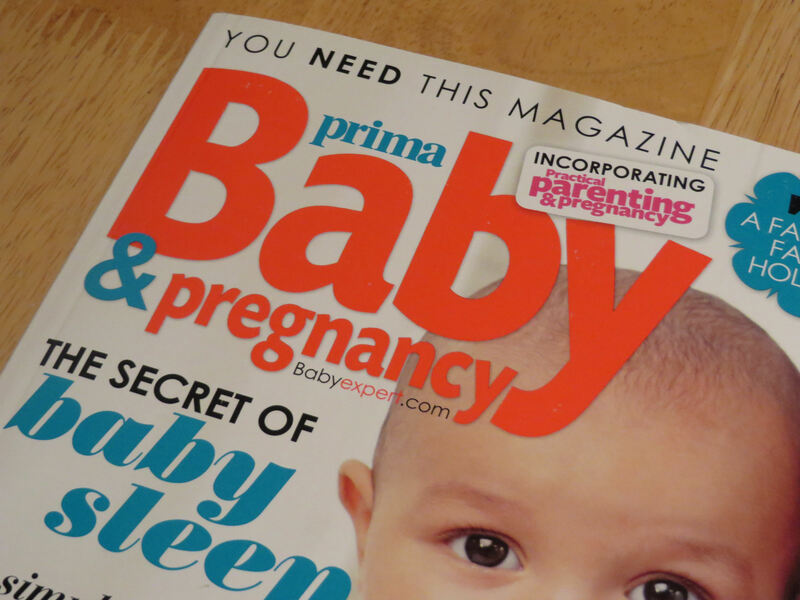 I bought a pregnancy magazine on the way home to demonstrate my commitment to this. Overall this place seems like a good service for people with antenatal and postnatal depression, and they have a crèche for people with babies. They said as I didn’t need to use the crèche there might be more flexibility of when I could see a counsellor, but that they would find me someone suitable and let me know within a week or so. I’m quite happy with this, I feel better for knowing someone is listening and that I’m within a system.